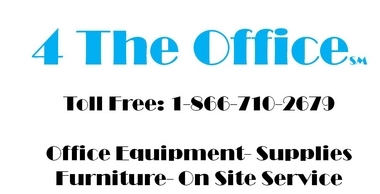 4 The Office is a leading provider of office supplies, copiers, printers, service and furniture. We want to share our experience in this industry to help your organization control the continuing rising costs in the office supplies and equipment industry. Whether you're a small business or a Fortune 500 company, we have the expertise and products to satisfy your needs. No one Manufacturer offers the best products and solutions for every customer need or segment. So, by offering "Best In Class" Products from different Manufacturers we are truly a One Call. One Source. One Solution Provider. 4 The Office will be your service provider for all of the equipment you purchase. We do not use subcontractors for service, our employees are Xerox Factory Trained Technicians and will respond to your servicing needs within four hours. We also offer secure online ordering for equipment and supplies. Brother International Corporation is one of the premier providers of products for the home, home office and office. The HL-S7000DN is a breakthrough printer for high-speed office printing at up to 100 PPM. Delivering ultra-fast print speeds and low running costs, it allows your workgroup to respond to peak printing demands with ease. Incredibly energy efficient, the HL-S7000DN is a powerful output solution that can adapt and grow as your workgroup printing needs change. 4 The Office is an approved vendor on the Pennsylvania COSTARS Contract #001-053. We offer a full line of copiers, printers and multifunction devices. We encourage intersted parties to contact us to discuss this contract in further detail. COSTARS is the Commonwealth of Pennsylvania's cooperative purchasing program and serves as a conduit through which registered and eligible local public procurement units (LPPU's) and state-affiliated entities (Members) are able to leverage contracts established by DGS to cost effectively and efficiently identify suppliers with whom to do business. KYOCERA Document Solutions Inc is a core company of Kyocera Corporation, the world's leading developer and manufacturer of advanced ceramics and associated products, including telecommunications equipment, semiconductor packages and electronic components. KYOCERA Document Solutions America, the first document solutions company with third-party certified sales data, has earned numerous honors for its products’ high performance, reliability and cost efficiency. No Destination Charges. We currently offer per call or contract service for Xerox, Sharp, HP, Kyocera and Canon in Northeastern Pennsylvania. Our rates are the most competitive in the area. Contract customers can expect an average of four hours or less response time. As an Authorized Reseller for PaperCut Print Management we offer some of the most robust solutions and software in the industry. We offer over 40,000 office supply items, free next day delivery and competitive prices. Whether it's for the boardroom or the breakroom, we have it. Need it fast? 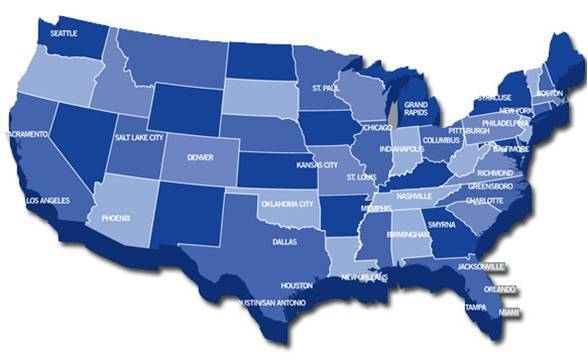 We can immediately ship your order from one of our many Distribution Centers.